Morning.. It's difficult to have a favourite out of the new Annabel Stamps as they are all gorgeous... 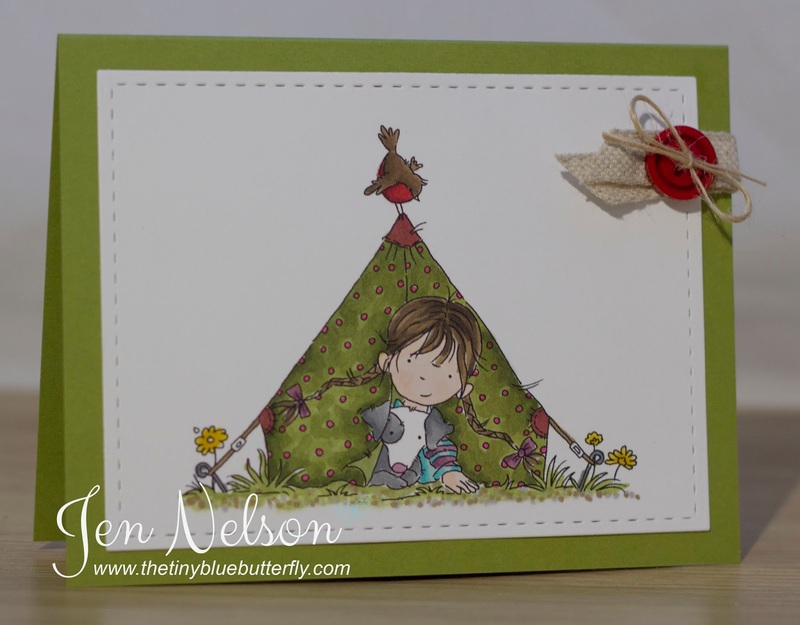 This one reminded me so much of going on cub camp with my mum when I was little in the old fashion tents! Remember you can pick up these cuties at the shop on Saturday or on the website Monday! Annabel Goes To The Rodeo..... LOTV New Release Blog Hop! Morning... It's that time again where we have an LOTV design team blog hop to celebrate a new release. This time we have 6 fabulous Annabel images... You will want them all!! 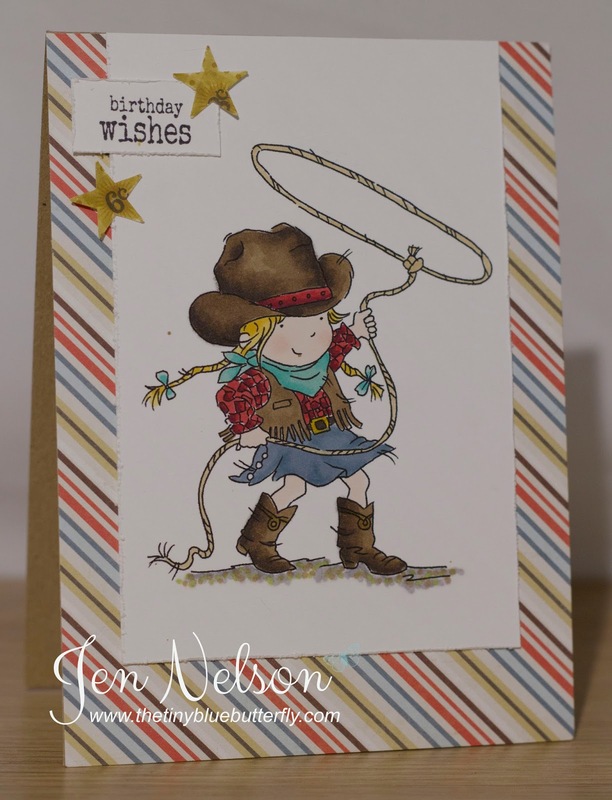 I have used my favourite one of the release and was so excited to see Annabel as a cowgirl.. I'm a bit partial to some Lady Antebellum ... Here she is! I'm trying to use up a very large stash of designer papers.. it may possibly be a slow process! Next on your hop is Lou .... Make sure you pop on over! Morning... I'm still in Christmas card mode and have this super cutie from the last LOTV release for you. I think these penguins were def my favourite! I've coloured this little guy in traditional colours! Sorry I'm rushing today.. Need to get loads done before back to work tomorrow.. Hopefully that includes some crafting! Morning.. 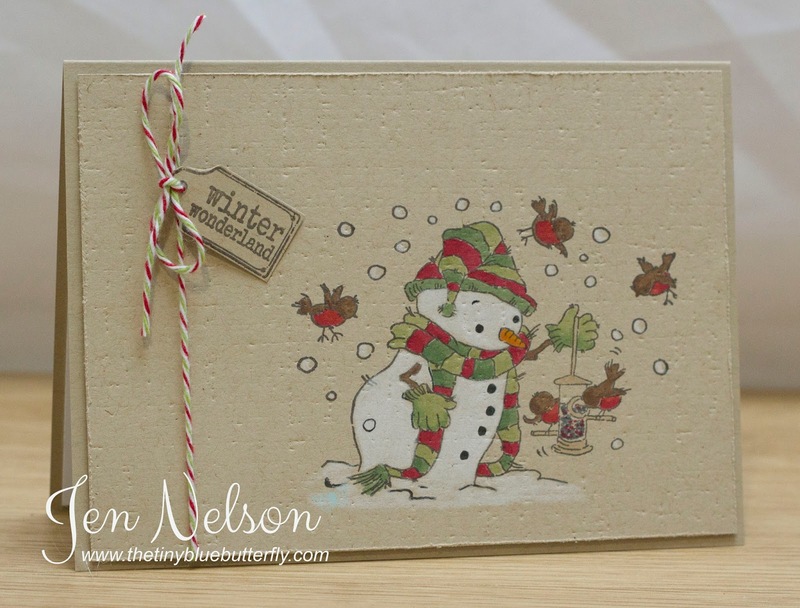 So it's another Christmas card for you today and I used some new products.. 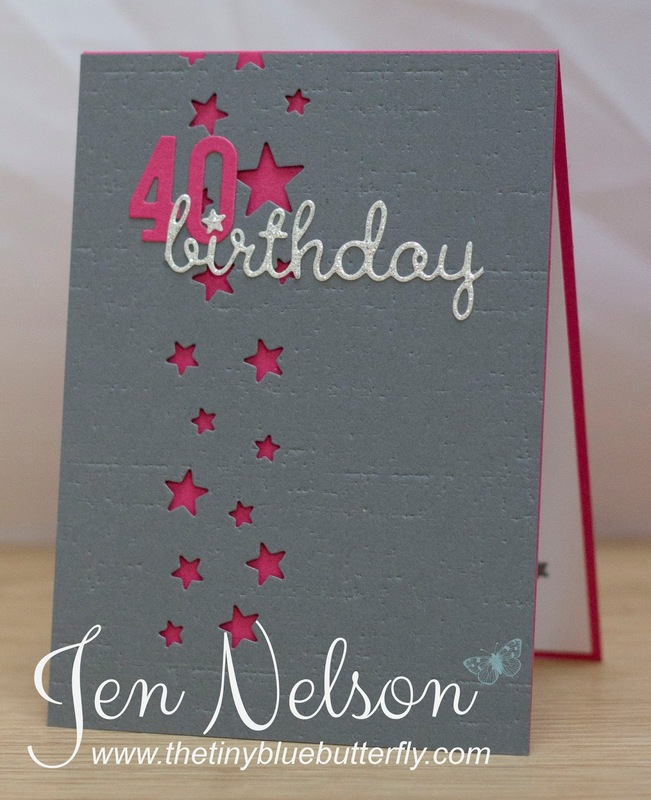 The Stampin Up blendabilities. I must say I was very dubious about these ... But after trying Lizy's I had to buy them.. They match my SU card stock perfectly and there is no thinking about which colours to blend with each they have done all the work for you! Even more delighted by the fact the red is a proper christmas red and it doesn't bleed all over like my promarkers and copic reds seem to! I'll be home tonight from Vienna and a crazy weekend ahead decorating and visiting friends! Afternoon.. Sorry this is a little late it was supposed to be scheduled for this morning! I've been busy making a few Christmas cards this month .. this uses a super cute image from last months LOTV release! I used my promarkers for it then added the white with a prisma pencil! 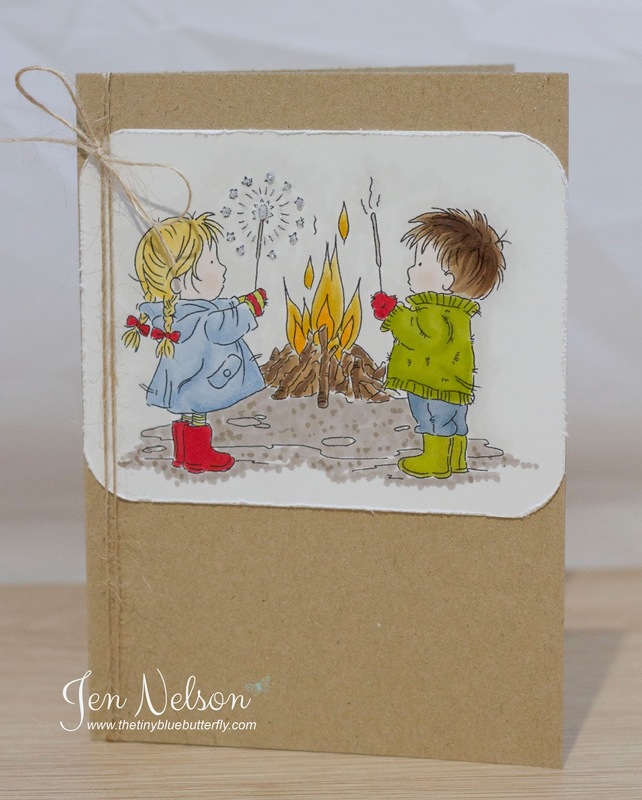 Once I had coloured in the little guy I ran it through the Linen embossing from PTI.. love the effect of doing this once you have coloured in an image! I'll be back tomorrow with yet another christmas card using goodies from my SU order! I'm off to Vienna this afternoon for the rest of the week with work... So hopefully my scheduled posts will work for the rest of the week.. Morning.. this was supposed to be posted on Sunday but I had one of those moments when your camera battery runs out.. and you have no idea where the charger is lol! Finally found it and managed to take a photo last night! This is one of the two new LOTV images released this week .... Very seasonal! Sorry my card is very boring.. mojo was struggling on Saturday when I made it! Right.. 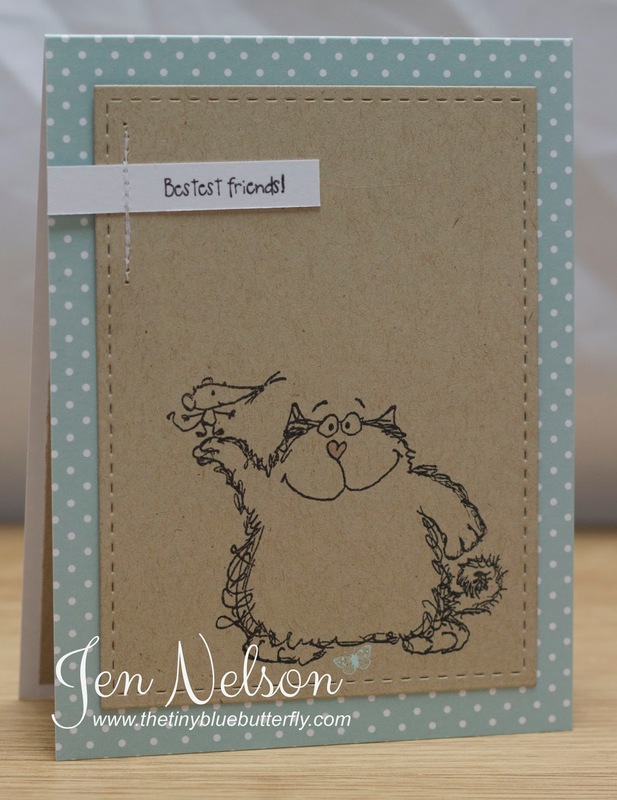 I'll have a card for you tomorrow using some new products I've got in the last couple of weeks.. Morning.. So did you all get what you wanted at Clearly Besotted last night.. I love release day! Now I can't wait for my parcel to arrive. 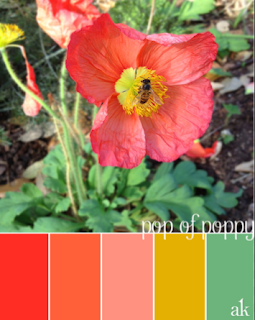 I've got for some contemporary colours... What do you think? I love grey and pink together! Morning... yes I know it's early but I thought I would share with you a quick project using one of the Christmas Mini Icons sets from LOTV. 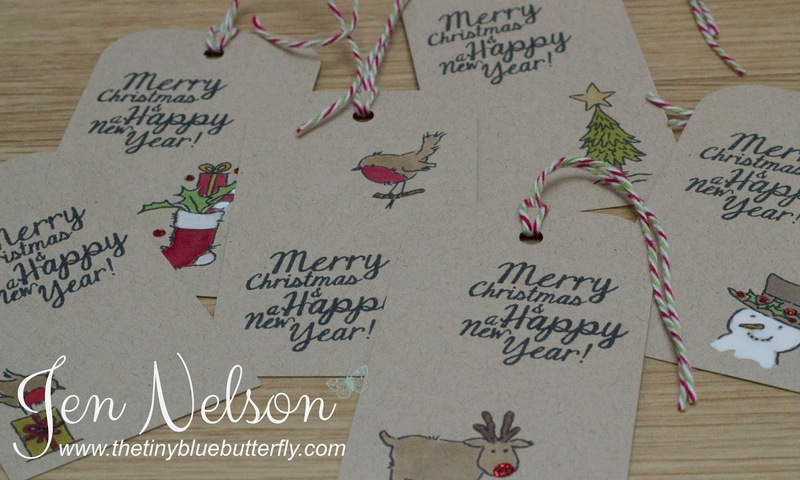 I love this set and it's perfect for making very quick tags for your presents! 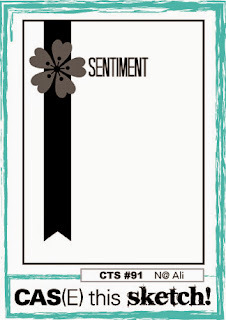 I also used one of the sentiments from the Christmas Wishes set! They were so quick and easy to make... and the white.. A wink of stella pen perfect for a few little bits of contrast! Morning.. Wow 2 days in a row... It's been a while since I've done that! 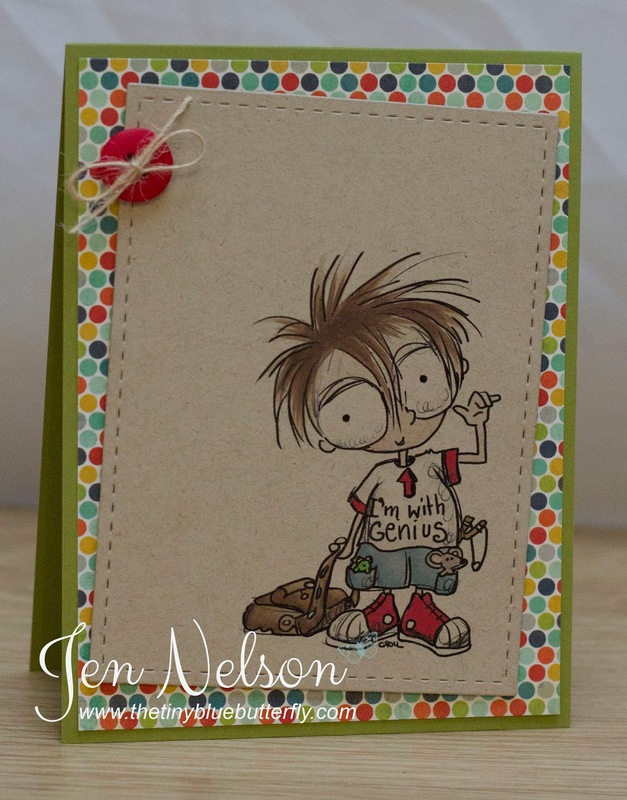 I have a card perfect for back to school this week using one of my all time favourite Tiddly Inks images.... I'm trying really hard to use stash that hasn't seen daylight for a while or has never seen daylight (digi images, DSPs etc etc) so you will see some stuff coming out of the wood work in the next few weeks for sure... I'm also selling off a bit of stash in the next couple of weeks so look out for that too! Anyhow, enough waffling... This is Genius! Also, by complete fluke it kinda fits in with this weeks Tiddly Inks Challenge too... #140 Pop of Colour!! Hope you have a great Thursday!! Fingers crossed I'll have some pictures of my new studio for you over the weekend if I manage to tidy up tonight... I really need to learn to be a tidy crafter! Morning... Remember me!! I've now settled into my new job and trying to get some crafting done... I think having all that time off before I forgot that crafting de-stressed me and made me relax.. It had become a chore instead of something I enjoyed! I spent some time crafting last week and over the weekend and I'll be showing you later in the week but first it's time to say goodbye to an old friend... Magnum!! 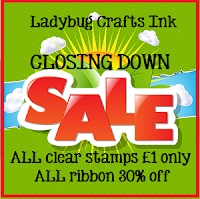 Kerry at Ladybug Crafts Ink is closing the doors to her stamp company so invited me to take part in the last ever challenge.... There is also a sale on at the shop... Stamps are just £1!!!!! Here is the card I made using my all time favourite Magnum... I'm going to miss him! I had every intention of colouring him it... 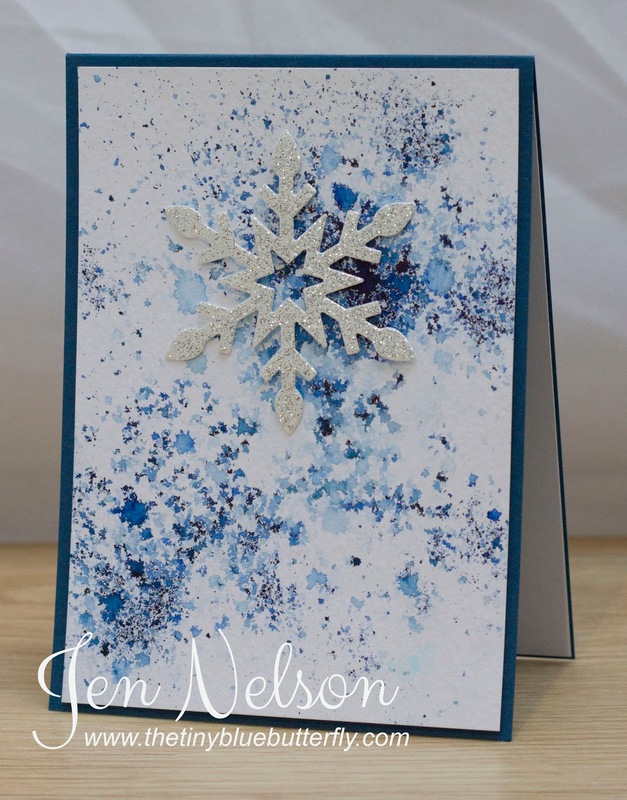 But as I put the card together to decide what I was using I decided I rather liked the uncoloured image!